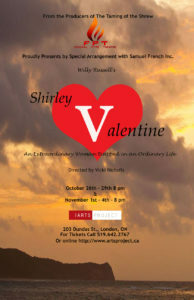 Set in the 1980s, Shirley Valentine is comedic drama about the second coming of age of a fifty-something woman. Her adult children have left home and Shirley finds herself trapped in a life in which she has no sense of identity. Stuck in a dead-end job and a loveless marriage, Shirley acknowledges what her life has become through anecdotes and conversations with the wall, and the fourth wall. Rallying against the constrictions forced upon her by others, Shirley sets out on an adventure to rediscover the woman she always knew she could be. 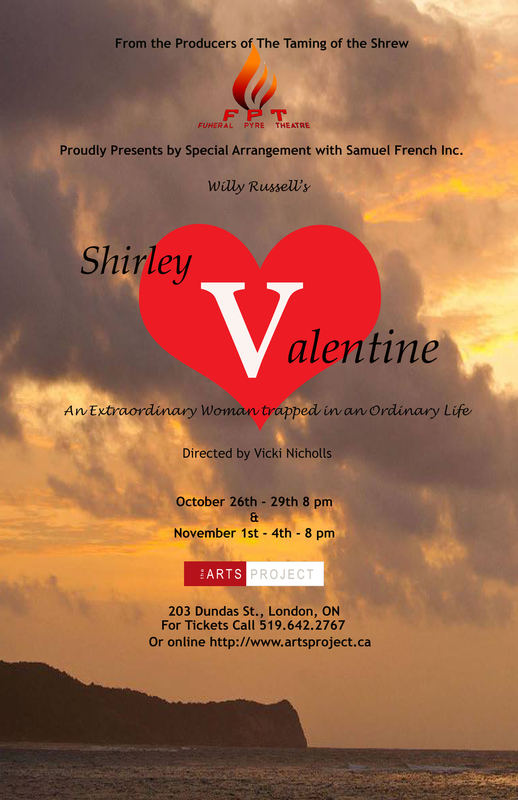 Shirley Valentine provides an often hilarious and sometimes heart-wrenching portrait of an extraordinary woman trapped in an ordinary life.